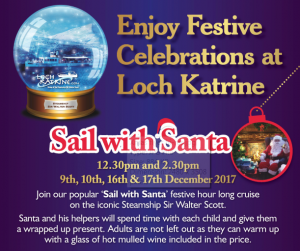 Santa will be joining us on the Steamship Sir Walter Scott for four days on the lead up to Christmas this year on the 16th +17th of December. These sails are booking up really quickly so we recommend booking in advance. Call our dedicated booking line and speak to Sylwia for details. Adults £17.00, Children 5 -16 £10, Under 5’s £5. Can you provide details of how I can get this offer? 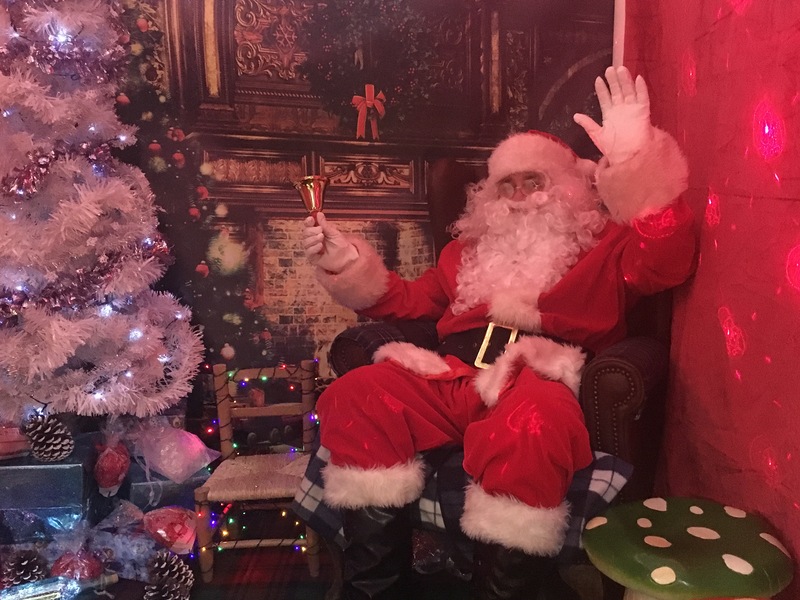 Hi Des this is the 2017 Sail with Santa cruises – we have changed things a bit for 2018 with Santa’s grotto in the Steamship Cafe. The event details are on the website as well.